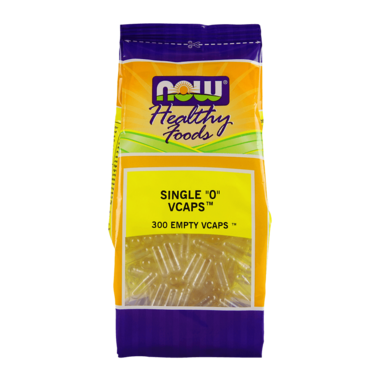 NOW Foods Empty Vcaps Size 0 Veg Capsules are a vegetarian alternative to animal-source gelatin capsules. They are composed on inert vegetable cellulose and do not interfere with the digestion and absorption of the ingredients contained within. Empty capsules allow you to fill your own capsules at desired potencies, and avoid tablet binders and fillers. Buying powdered supplements and filling your own capsules can save up to 50% off most retail prices. Vcaps size 0, depending on the powder, can hold between 408 - 816 mg. Contains No: Yeast, wheat, corn, soy, milk, sugar, starch, preservatives, animal product. NOW Foods Empty Gelatin Capsules "1"
Great capsules, rigid enough to be able to close nicely once filled. The most natural, clean capsules I could find! Exactly what I was looking for! Does the job nicely for me.